Monday, May 7th at 8:30am at the After School room. She will speak briefly followed by a time for questions. Becca is currently the principal at the Elm Street Elementary School in Walpole. Previously, she was the assistant principal at Estabrook Elementary School in Lexington. Earlier, Becca was the principal/curriculum director at the Milestones Day School in Waltham. She began her career as a second and third grade teacher. Becca received a bachelor's degree from Duke University and a master's degree from the University of Scranton. Another fabulous Newton Serves! Thank you to all of the people that came to support Newton Serves and help with the Ward School projects. EXTRA SPECIAL thanks to Cheryl Abramson, Diana Hashkes, and Elizabeth Apgar for leading the charge. We are so grateful for all that you do, and we salute you. Thank you families and friends for taking the time to help serve our community, rain or shine! THANK YOU, THANK YOU, THANK YOU! Have so much free time that you just don't know what to do? Have 100 hobbies and looking for another one? Need an outlet for all of your creative and fundraising energy? We are here to help! We are starting our planning for next year and hope that YOU will play a role. Please sign up for a volunteer role here here and make next year a success! Our community is as strong as those that support it...so please be a supporter next year! One of many exciting opportunities is our Spring Auction Chair. The auction happens every other year and is our biggest PTO fundraiser for the school year, as well as a ton of fun and a great night out. Without your support, this position will go unfulfilled...much like our PTO funds. Don't think someone else will do it....Don't let the PTO struggle next year, help us out and step on in! The Spring Auction is for YOU! Do you want to work with teachers to plan the Arts and Science enrichment programs at Ward? Do you want to choose the programs? Do you want to serve on a Newton-wide committee that evaluates the programming your children receive in school. If so, you would be a great CAS chair. We are looking to recruit a parent from K, 1st, and 5th for next year to coordinate programming for those grades. You will receive training, PTO support, and the opportunity to directly impact your child's classroom experience. Over the few weeks, we had a lot of great CAS events. · Each of 3rd,4th, and 5th grade classes had a well-received origami workshop from Origamido. · While the 3rd grade also learned a lot from the Discovery Museum's Sound Workshop. · The 5th grade prepared for the science MCAS with a presentation from Wingmasters on the World of Owls. · While our 2nd graders learned a lot from the Museum of Science's Lifecycle Presentation. · The Kindergarten saw Honeybees and the Art of Honeymaking on Thursday. · The 1st grade will be workshopping with Emilie Boon, a local author whose children went to Ward. We still have several programs upcoming including an all-school HipHop presentation. The Art Committee is looking for volunteers to help with set up and take down of the Annual Art Show. Please consider giving some of your time to help out, we will take as much or as little as you can spare! *Note that especially for set up, we would appreciate adults only. 1. 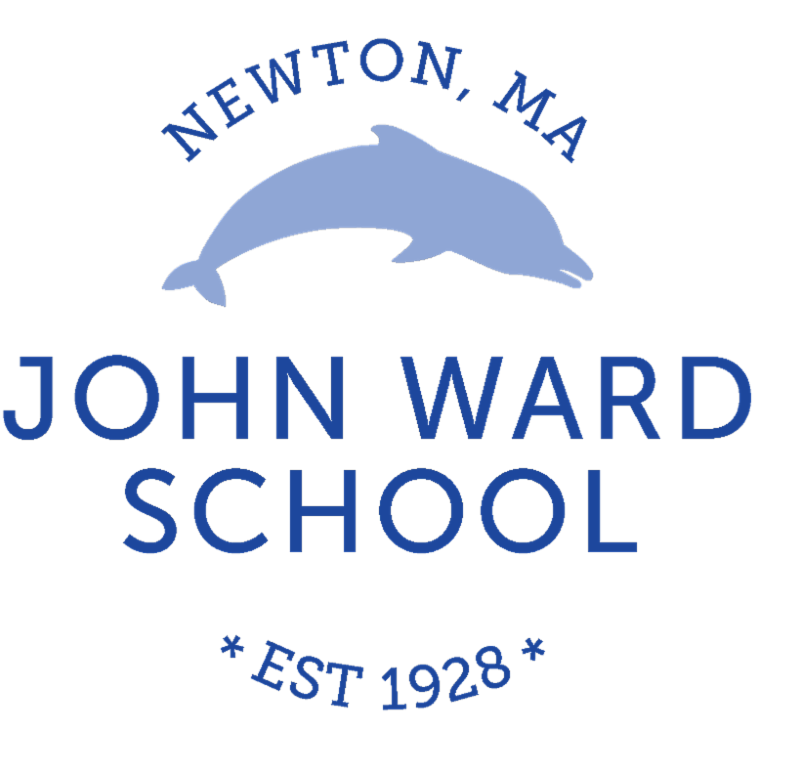 The Newton School Committee will begin monthly "Virtual Office Hours" starting on May 20th at 8PM. Get a chance to ask questions and get to know your representatives from the comfort of your own home. Save the date! More information to come on how to join and participate. 2. Superintendent Fleishman highlighted several recent events in the district, including the Topping Off ceremony at Cabot Elementary School, the 40th anniversary Gala for Understanding our Differences, and the annual Seal of Biliteracy recognition ceremony at both North and South. 4. Assistant Superintendent Hurley presented our FY18 Fiscal and Operational Update during which he compared our current situation as "a tale of two cities" when compared to last year's budget. While last year we faced a significant budget deficit, this year we are on budget and expect to end the year with some savings to help with the following year. 5. Director of Business and Planning, Julie Kirrane, joined Liam Hurley to present the most recent Facilities Update. Both Day and Bigelow Middle Schools are being considered for the MSBA Accelerated Repair Program. If awarded, the 40-50 year old boilers at each school would be partially funded in order to update to a "greener" and more cost-effective boiler system. In addition, funding has been docketed by the city to update the HVAC system at Lincoln-Eliot Elementary School. May 30th @7PM: Public Hearing School Choice, Vote School Choice, Elementary Principals' Update, SPED Update. As always, we are very happy to answer any questions or discuss any concerns you may have. Please feel free to contact us via the email address below. Please join us for an evening of art! The show will also be open during school hours May 9 and 10. We will have plenty of goodies for sale at the art show, all for $1 each. All proceeds go to the fundraising efforts of the class of 2019. Children must be accompanied by parents at all times. Bicycle safety training is coming up in P.E. led by Ms. Pargoli and a Safety Officer from the Newton Police Dept. This will consist of classroom training and an actual bike ride around the neighborhood so they can practice what they've learned. Ms. Pargoli is coordinating this but asked me to recruit some volunteers to assist each class. We need at least 4 volunteers per class on Monday, June 4 (with a rain date of June 11). Please arrive 10 minutes early and bring your own BIKE AND HELMET TO ACCOMPANY THE CLASS ON THEIR RIDE. A permission slip will be coming home soon from Ms. Pargoli along with further details on bringing your child's bike and helmet to school that day. Please let me know if you can volunteer to ride with your child's class or to bring in an extra bike or helmet. Need a chore accomplished? The fifth grade students are engaging in a community service program called Chores for Change (part of Heifer International). The students are looking for sponsors to donate $1/hour (or more) in exchange for an hour of service. The donations raised will be spent on gifts of animals and animal training to support struggling families around the world. So, find a fifth grader to wash your car, walk your dog, or plant some flowers! If you need help connecting to a fifth grader, please contact Suzanne Glazer (suzanneglazer1@gmail.com) or Sharon Sender (sharon@piletostyle.com). Thank you for your support! Please join us to celebrate a great year for the Ward PTO! Please stop by for a drink and a bite to eat. We look forward to seeing you then! Please RSVP to Linda at Linda_Bentley@yahoo.com or to Gabriela at frinulia@hotmail.com if you have't done so already. Newton's Director of Environmental Affairs, Waneta Trabert, has asked Green Newton's Schools Connections group to help conduct a study of current waste, recycling and composting practices in Newton Schools. The data will help to better focus city resources on significantly improving the sustainability of our schools. We are seeking one (or two) volunteers from each of the following schools to help us complete the surveys: Burr, Countryside, Franklin, Horace-Mann, Lincoln-Eliot, Zervas, Ward, FA DAY and Oak Hill. We have volunteers for the schools not listed above. The deadline for data entry is May 16 and your help would be greatly appreciated. The survey is fairly extensive and will help us get valuable information on existing practices at individual schools. You can take a look: Sustainable Materials Management Survey. We are asking that the assessment be completed by a person or group that has an existing relationship to the school. Primarily the assessment involves documenting observations by doing a walk-through of the school. Some questions may require communication with custodial staff, administrative staff, or faculty. We ask that you read through the assessment BEFORE starting it, and please plan for a around 5 business days to complete it. To volunteer, please contact info@greennewton.org. Father's Day, Sunday, June 17th starting at 9AM. This year there will be a NEW FORMAT. #TDN #MagicalMysteryTour will have 4 start locations (Newton Centre, West Newton, Newtonville and Waban) + a contra tour and a petite tour. Each bike route will travel to several other villages, experience fun surprises, see hidden Newton treasures and back roads and then lead to an 11am rally at Newton City Hall with all the riders and birthday wishes for Bike Newton, that turns 10 years old this year. Return when you wish or with a ride leader to your start location to finish by 12:30 (at the latest). As always, our rides are guided, family friendly, no rider left behind. While the tour is in action, City Hall will be busy with a new event for cyclists who aren't yet road ready, #BikeHappyKids. This event will include leveled ride areas aimed at teaching skills, building confidence and having fun. There will be inclusive elements such as balance bikes and (hopefully) adaptive bikes. We will also be demonstrating different styles of bikes, useful accessories and information on biking gear that makes biking safer and easier. REGISTRATION REQUIRED FOR ALL EVENTS! Signup now.